This is a guest post by Alexa Lemzy. Dealing with a post-holiday sales slump? Fret not. With a little planning and business savvy, you can lure those customers into your store even after the Christmas season is over. Just because the holidays have ended doesn’t mean that customers are staying home until next holiday season. They’ll still be out and about and your job is to offer them enough reasons to stop by your store and shop. Post-holiday sales, new product lines, juicy loyalty club offers, and outright giving away free stuff can all get people into your store. Don’t worry about your stores being empty in the New Year: Chances are you’ll get a lot of foot traffic. Unfortunately, a lot of those customers are looking to return or exchange an item they didn’t care for. Returns are like the hangover that comes after the Christmas selling binge. Offer exchange discounts. Provide an incentive to exchange instead of return by offering discounts to those making exchanges. Advertise this benefit so that people want to get into your store quickly to take advantage of it. The New Year is a time when people are looking to lose weight, change their image, make positive changes and leave bad habits behind. In fact nearly half of the American population (45 percent) make New Year’s resolutions. Catering to this “new leaf” mindset can help up your chances of selling to the customer looking for changes in the New Year. Whether it’s selling low-fat New Year’s Resolution lunch specials at your restaurant or self-help books at your bookstore or slimming supplements at your vitamin store, creating an advertising story about the “new and improved you” can help push January sales. For example, Reebok ran a “New Year, New Gear” campaign that launched their new shoe and apparel catered to the number of people who vow to get fit in the New Year. That way, they took advantage of the New Year’s vibe of self-improvement and resolutions. It’s not a novel sales concept, but it is an effective one. Some customers live for the sale happening after holidays when prices are slashed and they can gather up all the unwanted Christmas merchandise at bargain basement prices. In fact, 38 percent of post-holiday shoppers want to take advantage of sales. Don’t disappoint them. Advertise your sale with big red letters and welcome the bargain hunters with open arms. 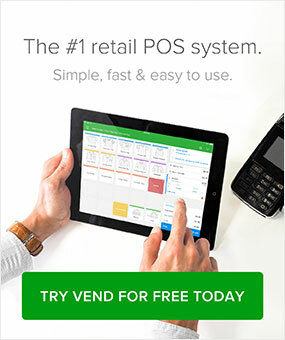 Are you a Vend user? Use our software to implement different types of promotions. Click the button below to check it out. It’s easy to sell new products before the holidays. People are primed and ready to buy. So holding back a new product until after the New Year can help extend interest in your brand beyond the Christmas mayhem. Make sure you build the hype long before you reveal the new product, and including a bit of mystery isn’t a bad idea either. Keeping people curious is a good way to make sure your new product receives the attention it deserves when you finally do unveil it. To balance out the damages from the returns, you have gift card redemptions to look forward to. However, there may be customers planning to hold onto that gift card until it expires, so give them an extra push by advertising a special discount for those using their gift cards in January. Make sure it’s clear that the sale is only good for the month of January so those who were planning to hold onto their cards until next December are tempted to come in and buy now. Macy’s, for example, offers kickback gift cards. If a customer buys a gift card in December, they get another one in the mail in January. Loyalty clubs are great for brick and mortar businesses. In fact, 81 percent of consumers are more likely to become repeat customers of businesses that offer them a loyalty club membership. Make your loyalty club terms even more enticing in January than the rest of the year. For example, if you offer a discount or free product after joining the loyalty club, up the offer to be even juicier. Advertise that this deal is only good for the month of January to get people in the door and coming back for more. Relevant promotions – Keep tabs on your client’s shopping habits to send promotions that are on-target. Personalized messages – Your messages should address the customer by name so they know you’re paying attention to them. Incredible discounts – Give them a reason to stop by your store by making them a discount offer they can’t refuse. A little competition never hurt anyone. In fact, it can be just what your business needs in order to generate some post-holiday interest. Hold a contest urging shoppers to post photos of people opening gifts bought at your store on social media and give a prize to the one with the best photo. Mova held a Winter Décor photo contest that you could easily extend into the New Year. The contest will advertise your products and generate enthusiasm for your brand when they see the winning photo. The post-holidays season doesn’t have to be a retail wasteland. 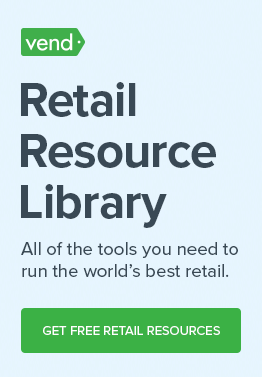 You can leverage the power of loyalty clubs, on-site promotions, New Year’s Resolution mania, exchange strategies, and other ideas to bring shoppers in even after the holiday rush is over. As a retailer, i found this site https://tinyurl.com/DesignersLuxurygoods with unbeatable price for Desiners and Luxury good.